What is a face lift / neck lift? A face lift / neck lift is a surgical procedure that tightens the skin and underlying structures of the neck and face to restore a youthful appearance. Jowls and neck bands (platysma bands) are corrected resulting in a smooth neck and a more refined jaw line. There are many different names used for variations of a face lift. Some of these include the “lifestyle lift,” “lunch time lift,” “mini-lift.” These different types of face lifts are similar, but vary in complexity. Each facial rejuvenation operation needs to be customized to a patients individual needs and goals. When is a face lift / neck lift used? A face lift / neck lift is best for people who are healthy and within their normal weight range. It removes excess skin of the neck and face and improves the jowls and jawline by tightening underlying tissue. The platysma bands are fixed resulting in a more smooth, youthful neck. At times the submandibular glands are removed to reduce the fullness under the jaw. This is done on an individual bases when required to deliver the best possible outcome. What is involved at a face lift / neck lift consultation? When you come in for your initial consultation, you will meet with Dr. Maloney and one of our coordinators. Dr. Maloney will examine you and discuss the goals of a face lift. He may also suggest additional procedures that may enhance your final result. At times this may include fat grafting, eyelid surgery, brow lift or laser resurfacing. Dr. Maloney will determine if your surgery can be done in the office or if it needs to be done at an outpatient surgery center. This will depend on many factors, including the amount of tissue you have, your health condition and the amount of work that Dr. Maloney needs to perform. Dr. Maloney will discuss details of the procedure, show you before-and-after photos and answer any questions you may have. You will then have the option of getting your 3D image taken with VECTRA 3D (three-dimensional) technology. We use VECTRA imaging technology to take a 3D image of your face and neck. The exciting part of the VECTRA technology is we can perform a “face lift” on the 3D image and show you a realistic surgical outcome in 3D! We are excited and proud to offer this amazing technology to our patients. 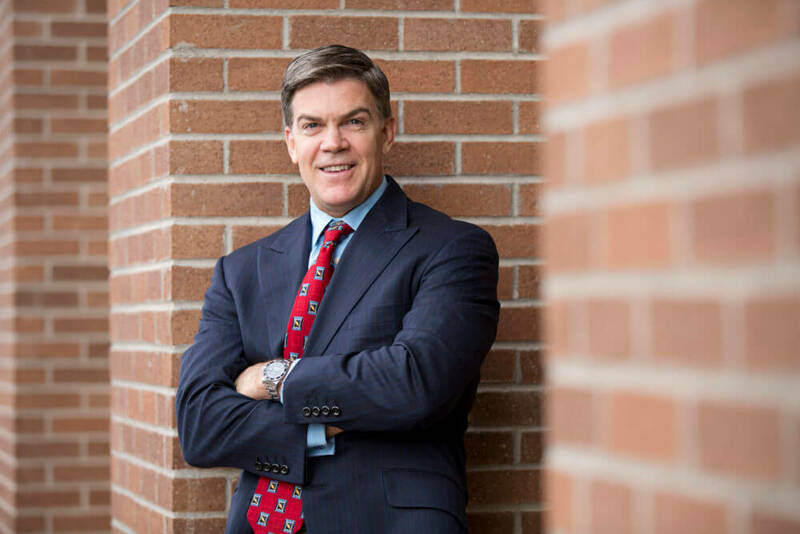 Once Dr. Maloney has answered all of your questions, one of our coordinators will review surgical fees, available dates and financing options with you. If you choose to have Dr. Maloney perform your procedure, you will return for another consultation about three weeks before your scheduled surgery. At this appointment, Dr. Maloney will review the surgical plan and will review and sign the consent forms with you. Your pre-operative photographs will be taken and you will be given your prescriptions so you are able to fill them before your procedure. A member or our experienced team will review your surgical instructions and give you a packet of information so when you leave the pre-operative appointment you will have everything you need for surgery. How do I prepare for a face lift / neck lift? After meeting with Dr. Maloney and choosing a surgical date for your procedure, you will need to plan for your care and recovery after surgery. You will need to arrange a ride to and from the procedure and arrange for someone to stay with you for the first 24 hours. Plan to take ten days to three weeks off of work for this operation depending on the type of work you do (our team can answer more specific questions and may provide additional information). If your employer requires paperwork for time off, please obtain it ahead of time and bring it to our office. If you smoke, you must quit a minimum of three weeks before surgery. We suggest six to eight weeks, but three weeks is the minimum. Smokers heal more slowly and may have wound-healing problems. Smoking may require modifications to the surgical plan. If you take aspirin or other medications that may cause bleeding, stop taking them three weeks before surgery to reduce the risk of bleeding. All medications, herbs, vitamins or dietary supplements should be carefully reviewed prior to surgery with Dr. Maloney or a member of our team. If you are under the care of a physician for any health issues, we may require surgical clearance from your physician and/or cardiologist. At your pre-operative consultation with Dr. Maloney you will be given your prescriptions. Get them filled before surgery so they are at home when you will need them. You should sleep with your head elevated for the first few days to keep swelling and bruising to a minimum. You should to stay hydrated, so have plenty of water or sports drinks available at home. Begin taking an over-the-counter stool softener because narcotic pain medication and anesthesia can make you constipated. The day of your procedure you will take your prescribed pain medication one hour before surgery. Do not wear any lotions or make-up on the day of surgery. Do not wear any jewelry to the office. Wear comfortable clothes that are easy to put on and take off. A shirt that zips or buttons up the front is preferable, as are loose workout pants or sweat pants. When you arrive, you will be brought to the procedure room where Dr. Maloney will discuss the surgical plan, answer any last minute questions you have and mark the surgical site. How is a face lift / neck lift performed? A face lift operation is an outpatient procedure that takes about four hours. The amount of time in the operating room is determined by how much fat needs to be removed from the neck area and if there are any ancillary procedures being performed at the same time. At the surgery center, the anesthesiologist will put you to sleep or use twilight anesthesia depending on your preference and that of Dr. Maloney. An anesthesiologist is present for this operation to ensure your safety and comfort. If the procedure is performed in the office and local sedation is used. Dr. Maloney will slowly inject a numbing medication to keep you comfortable and pain free. The first incision is typically made under the chin to tighten deeper layers (the vertical bands in your neck). Extra fatty tissue is removed or lifted using incisions made around your ears. Underlying structures (SMAS) are lifted into a more pleasing position. Patients that require removal of the submandibular glands will have them removed at this time. Skin is tightened and the excess skin is removed. 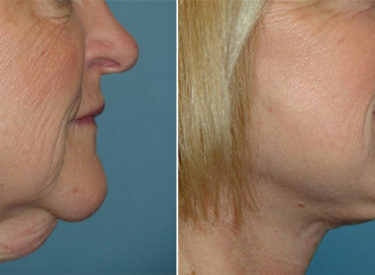 Fat transfers are often performed at the same time to augment the areas of the face that have lost volume due to aging. Both dissolving and non-dissolving sutures are used with staples to close the incision. Drains (which are removed roughly three days after surgery) will be placed behind the ear to minimize bruising. Once the procedure is complete, Dr. Maloney will let the patient’s family know the operation went well and the patient will be ready to go home shortly after. He will confirm a contact number and make sure the family has his personal cell phone number. What should I expect after a face lift / neck lift? A light compression dressing will be applied over the surgical area to minimize swelling and bruising. Sleep with your head elevated for the first few days to help minimize swelling. You will want to rest and eat healthy foods to promote healing. Drink plenty of fluids, avoid alcohol and smoking. A low-grade fever is not unusual after any type of surgery. Early and frequent ambulation after surgery is recommended to reduce the risk of blood clot formation in the legs and to speed up your recovery. You may develop some swelling after surgery. It takes about three weeks to see the final results, so be patient during the healing process. You may remove your dressings the evening of surgery and shower the following day. You will have a drain to remove excess fluid. Please record the fluid volume and empty your drain as needed. Click here to see video of Dr. Maloney discussing a surgical drain. You will return to the office for your first postoperative exam one to three days after surgery. If you have any questions during the recovery phase, please call our office any time, day or night. At your pre-operative appointment you will be given our after-hours number as well as Dr. Maloney’s personal cell phone number. What are the benefits of a face lift / neck lift? After the procedure, you will see improvements in the contour of your neck and jawline. Wrinkles will be reduced and you will have a beautiful more youthful appearance. What are the risks of a face lift / neck lift? A face lift / neck lift has both aesthetic and health risks, and it is your decision whether benefits outweigh the risks. The most common risk is slow wound healing behind the ears. You may also experience temporary changes in skin sensation pr could have some post-opertive bleeding. Nerve injury and other severe complications are rare. For a full list of risks, go to plasticsurgery.org.